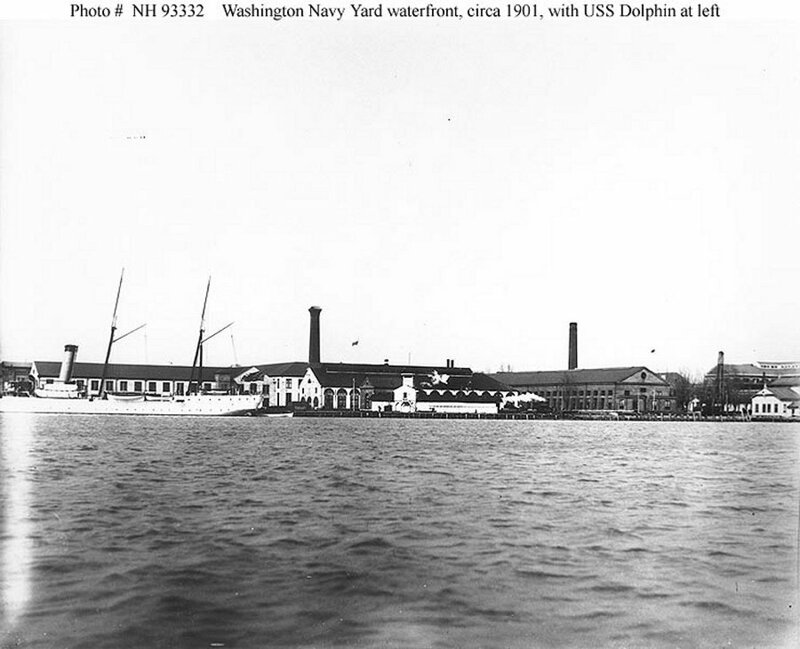 Sold for scrap 25 February 1922 to the Ammunition Products Corp. of Washington, DC. 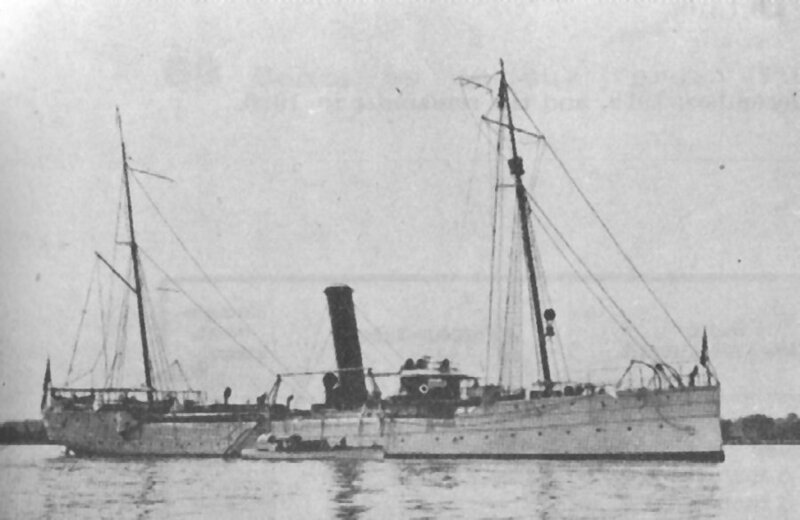 Propulsion two double ended and two single ended boilers (replaced by cylinderical boilers in 1910), one 2,253ihp vertical compound direct-acting engine, one shaft. 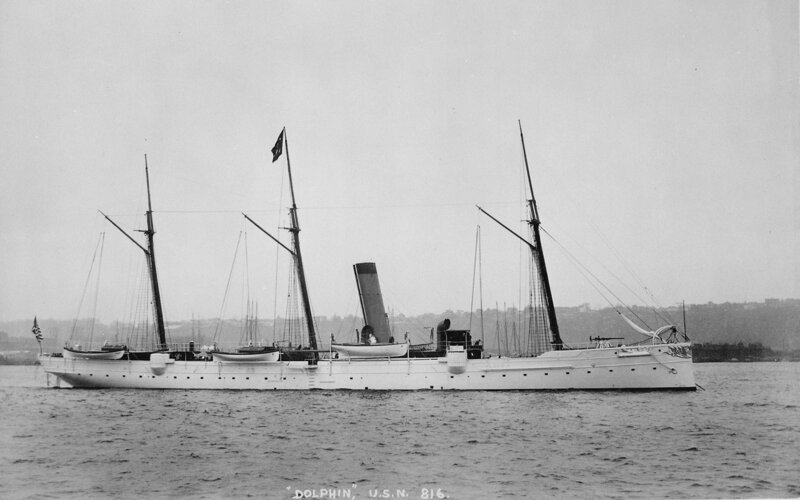 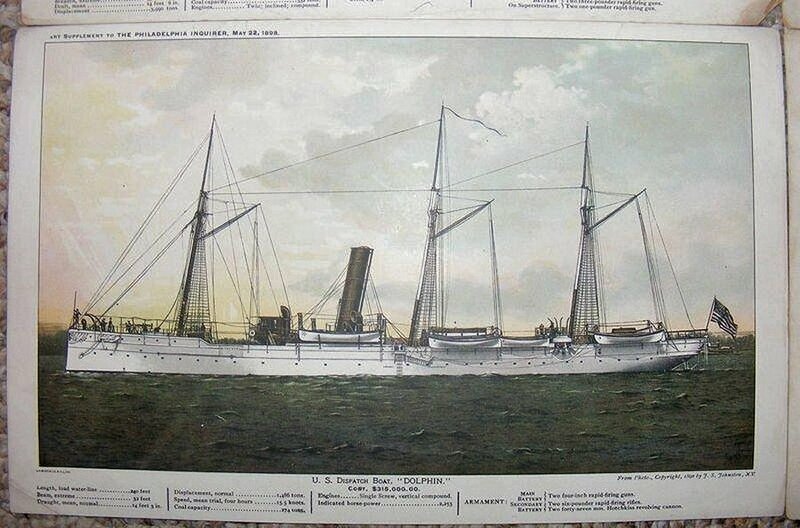 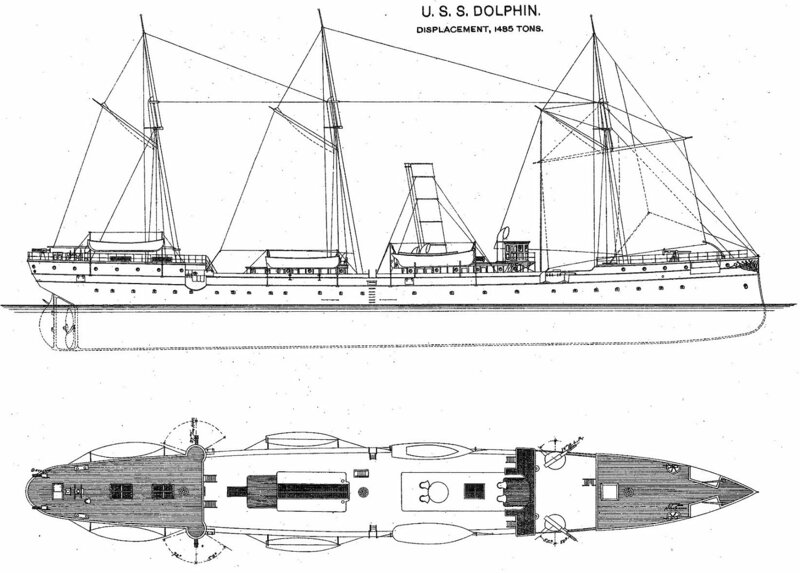 141k The Dolphin is depicted in her as-built rig in a lithograph produced for the Los Angeles Daily Herald. 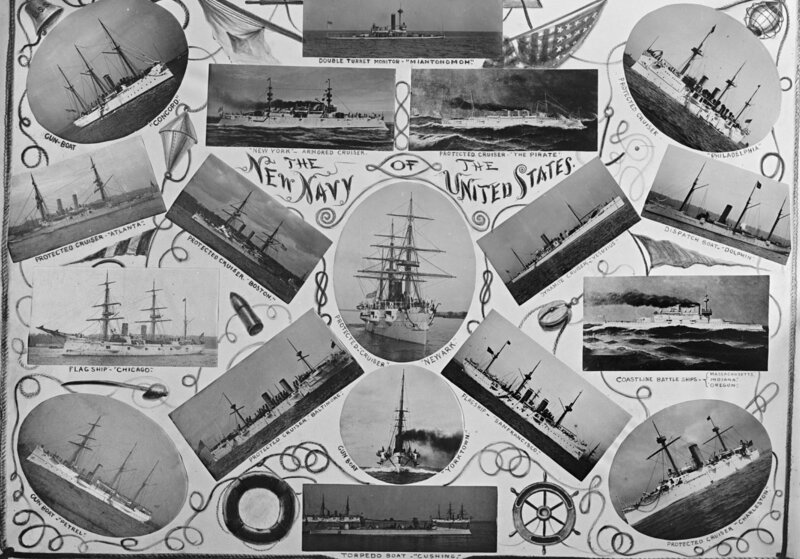 The art was one in a set of eight illustrations the newspaper offered for a month's advance subscription. 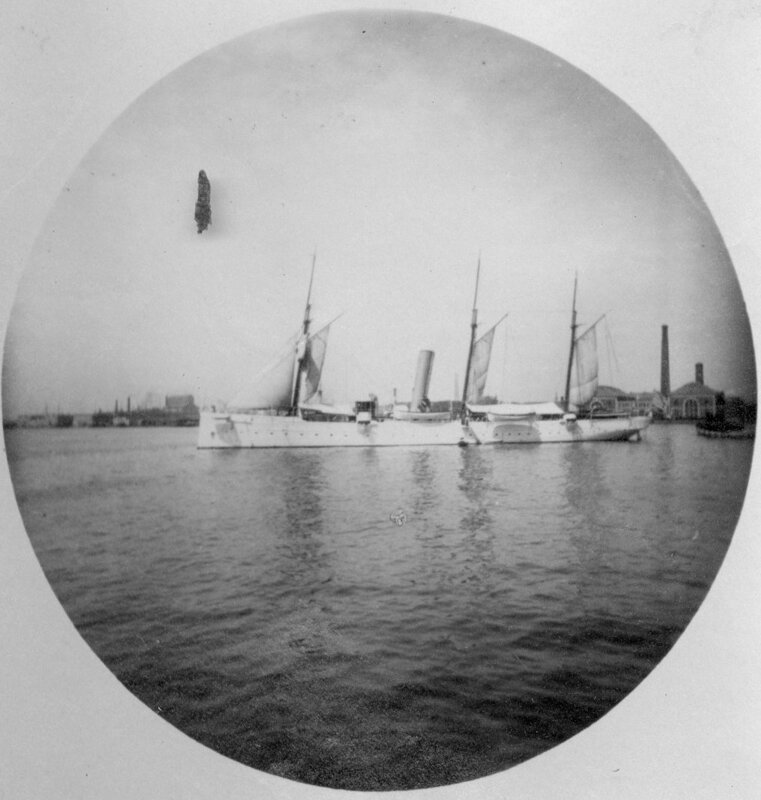 Price: 75 cents. 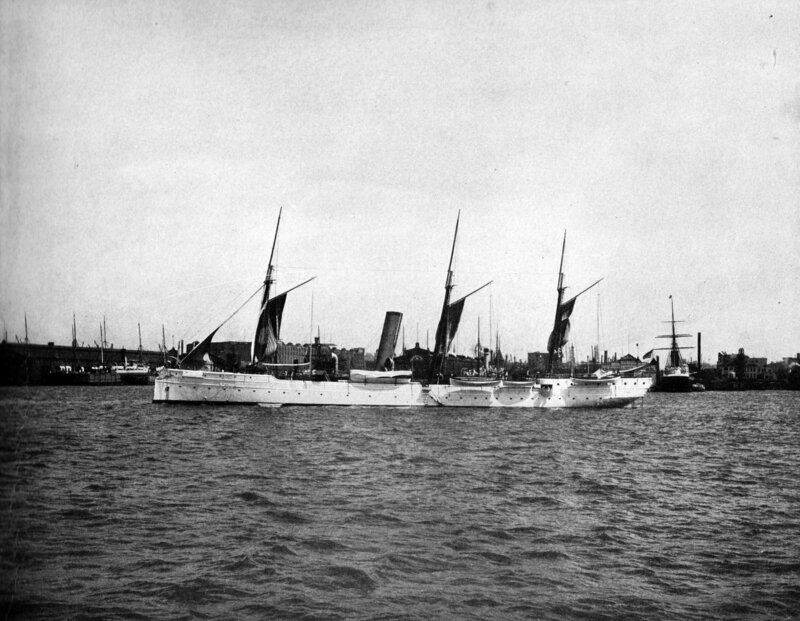 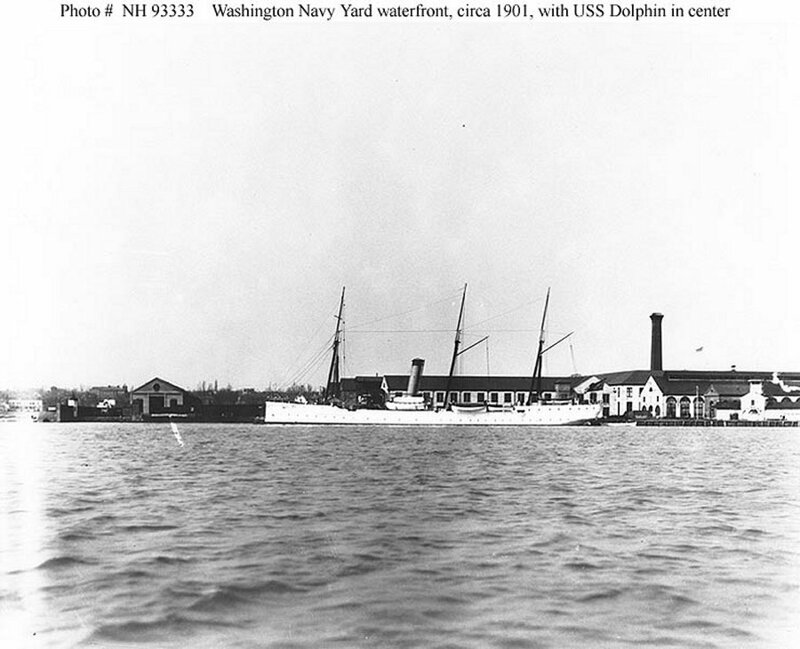 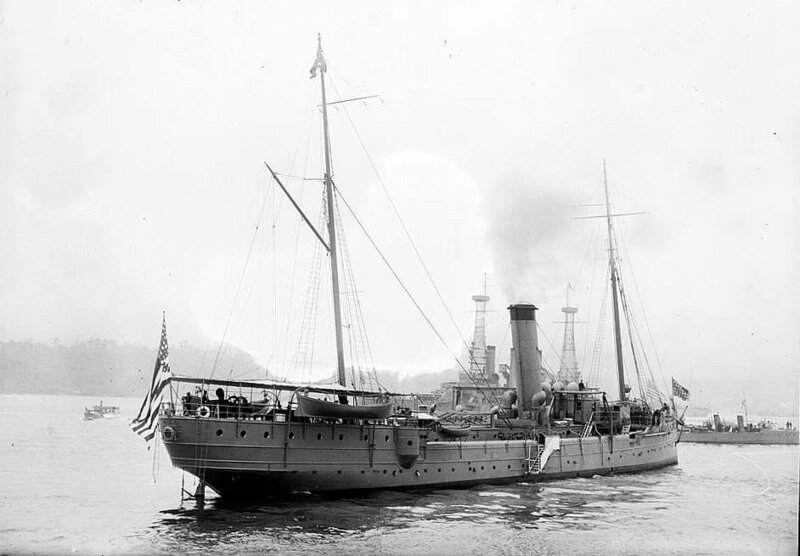 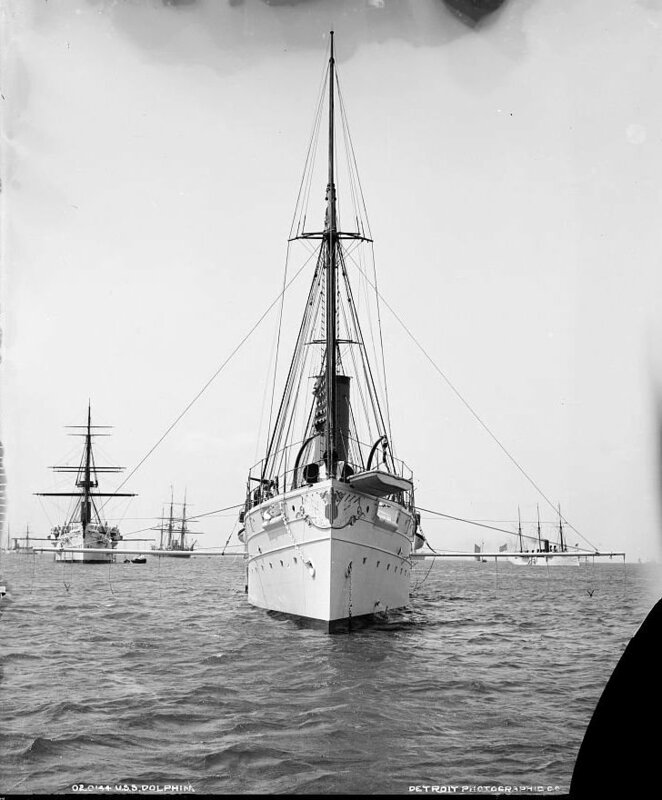 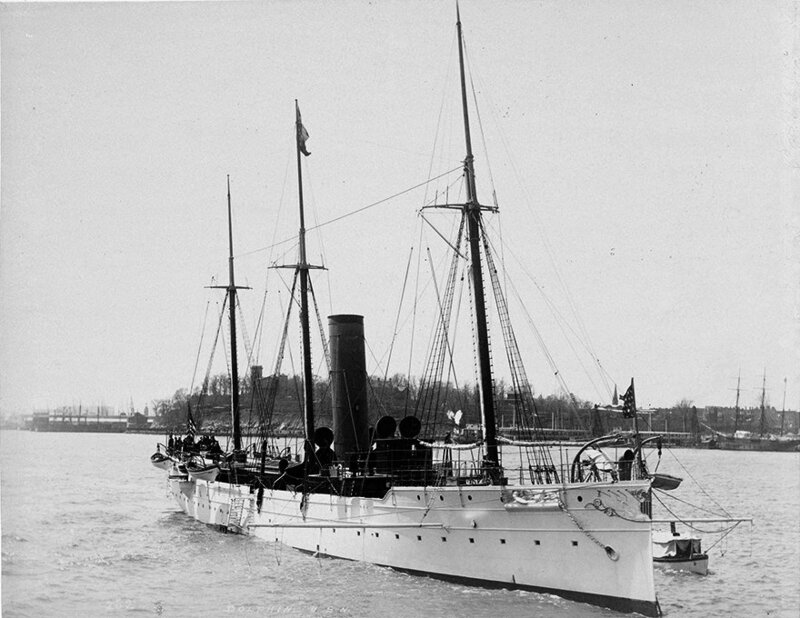 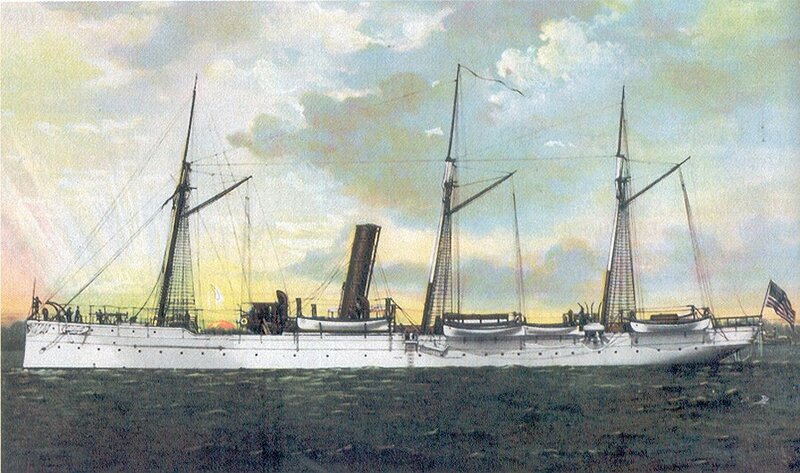 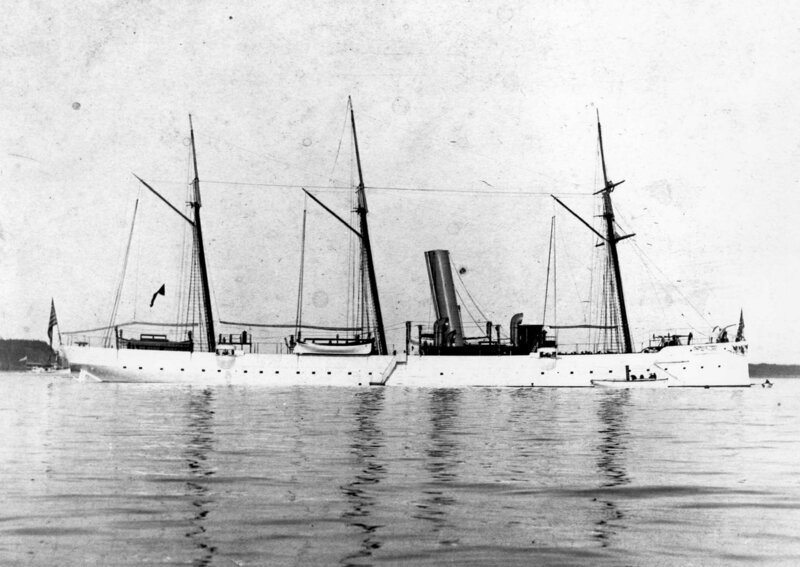 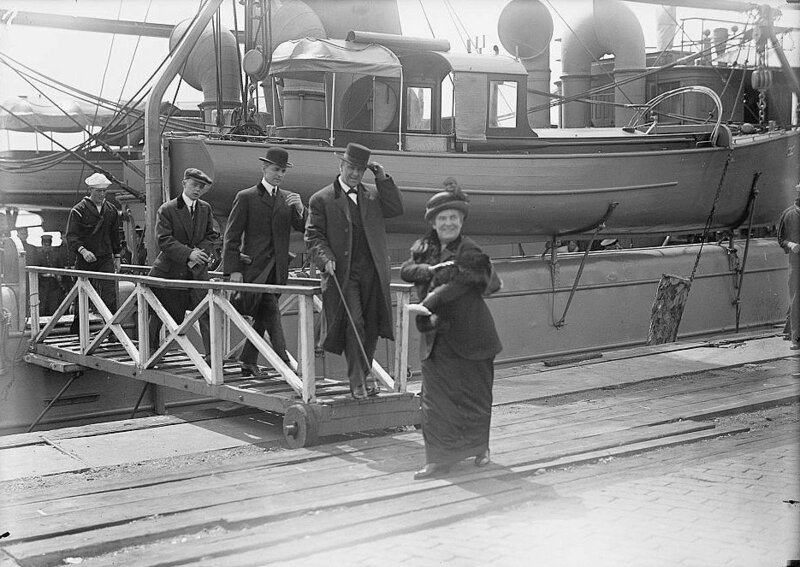 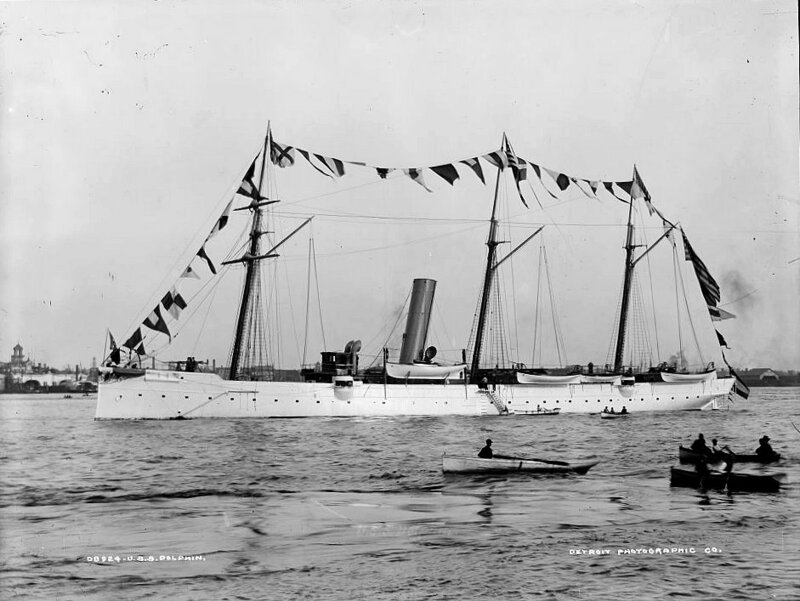 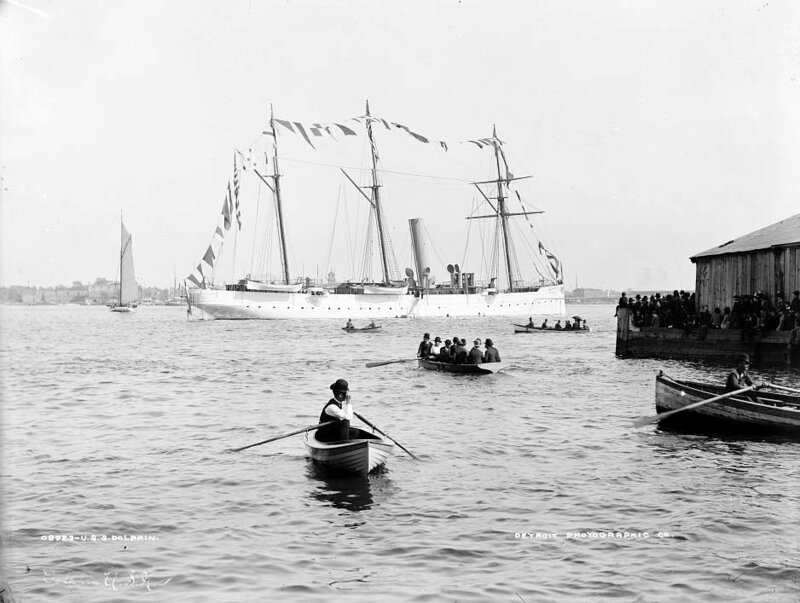 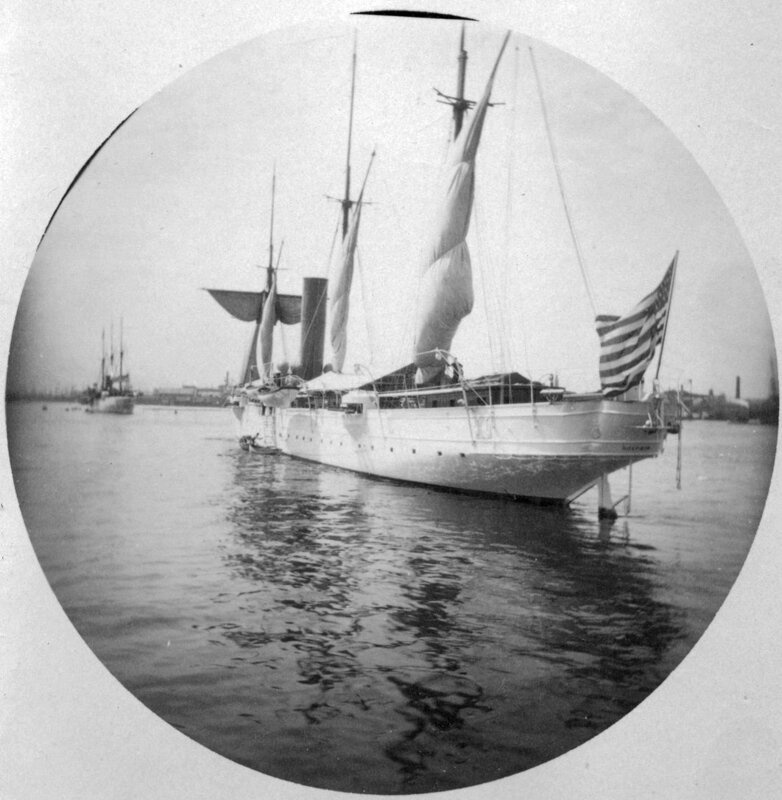 This is the ship that carried the remains of James Smithson (of the Smithsonian Institution) to the U.S.
123k Admiral William B. Caperton became Commander in Chief, Atlantic Reserve Fleet, USS Alabama (BB-8), flagship, in 1913 and after a year's service in that command, he assumed command in November 1914 of Cruiser Squadron, Atlantic Fleet, USS Washington (ACR-11), flagship. 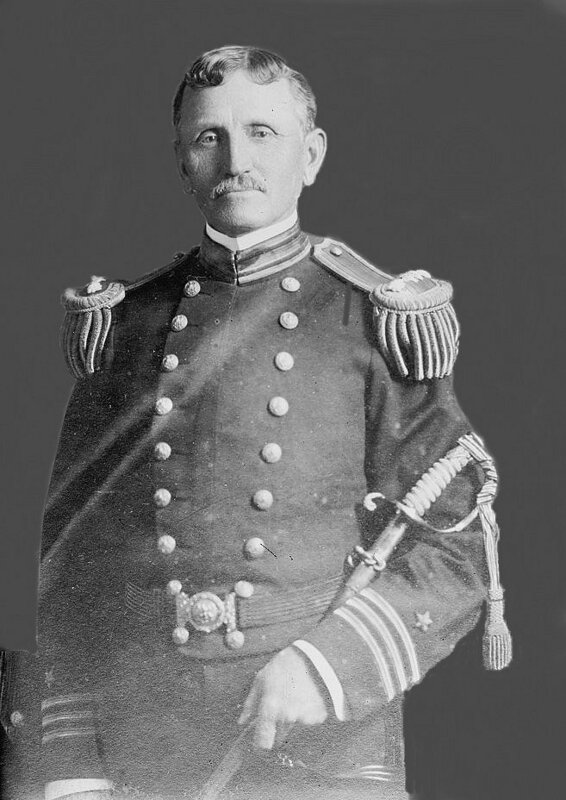 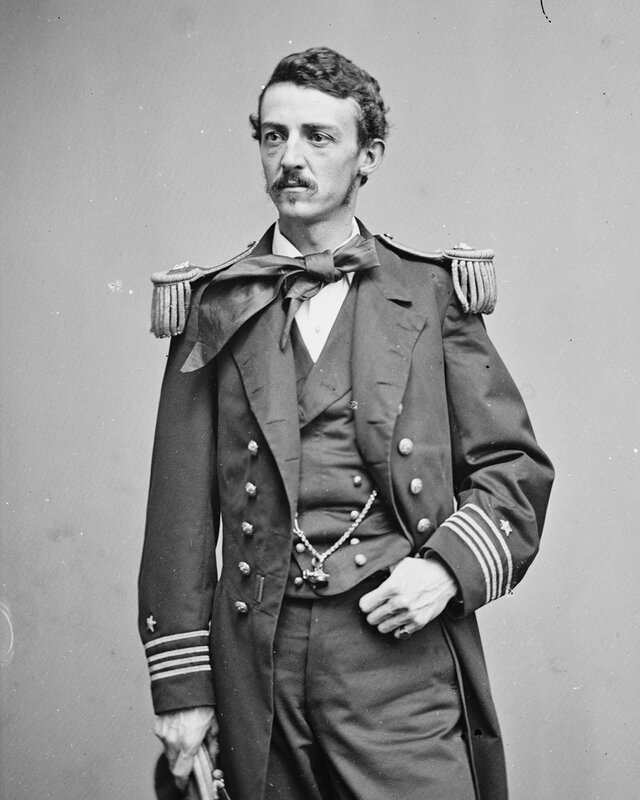 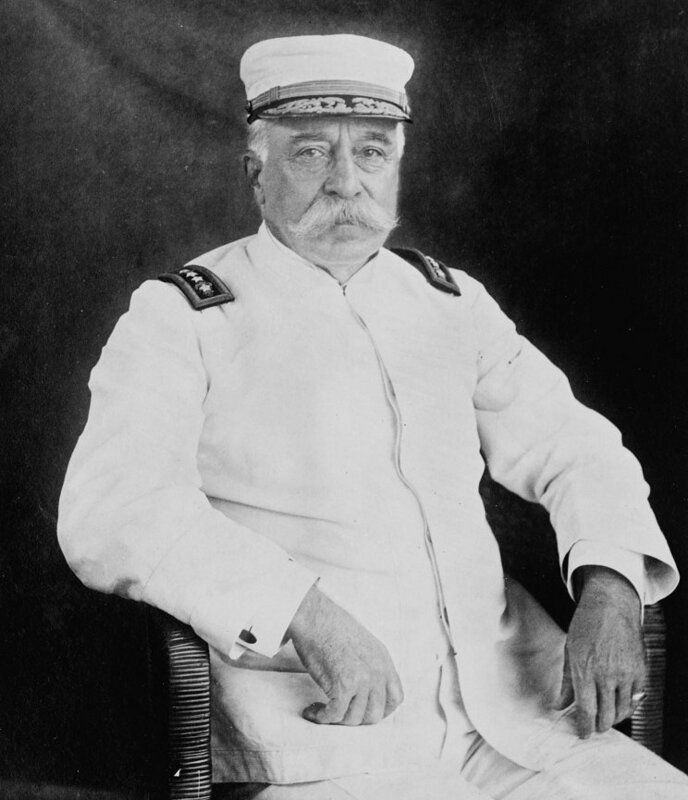 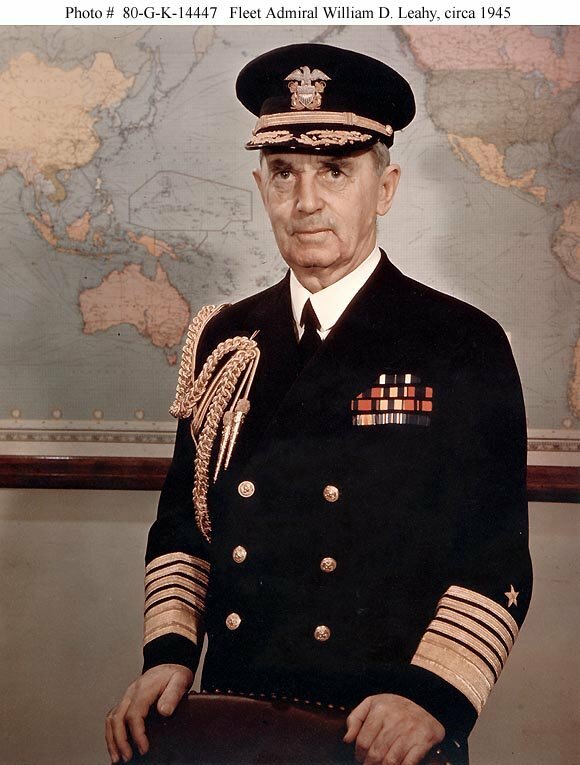 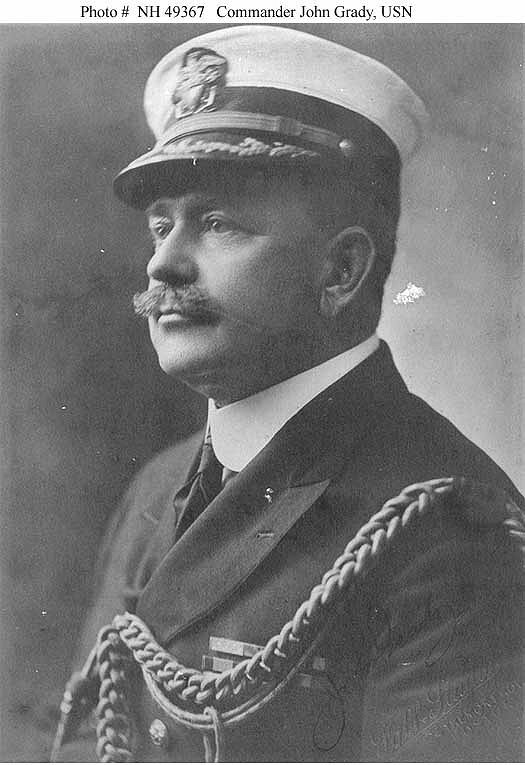 In 1915 he transfered his flag to Tennessee (ACR-10), and later to Dolphin (PG-24), he commanded the Naval Forces that intervened at Haiti in 1915-1916; was Commander Naval Forces, Vera Cruz, in 1915; and commanded Naval Forces intervening and suppressing the Santo Domingo Revolution in 1916.